Sanford C. Bernstein Ltd forecasts that the gross gaming revenue (GGR) of casinos in Macau will be between 2 percent and 4 percent greater in the second quarter of this year than a year ago – if the current trends persist. A note issued by the brokerage on Wednesday forecasts Macau casino GGR of US$9.4 billion in the second quarter. “One area of potential high-end GGR stabilisation and renewed strength may come from a recovering credit cycle in China, which may support VIP recovery in the second half,” said the note written by Vitaly Umansky, Eunice Lee and Kelsey Zhu. Macau casino GGR was 0.5 percent lower this year than at the same stage last year, dragged by a decline in the VIP segment. VIP revenue fell 13.4 percent year-on-year in the first quarter, offset by a 16.1-percent growth recorded for GGR in the mass segment, showed data issued on Tuesday by the city’s gaming regulator. Sanford Bernstein’s note said the first-quarter GGR figures were curbed by the persistence of weak sentiment about the Chinese economy at the beginning of the year and slow credit growth in the second half of the year before; by the hard-to-beat amounts of GGR collected a year earlier; and by the ban on smoking in Macau casinos, which began in January. 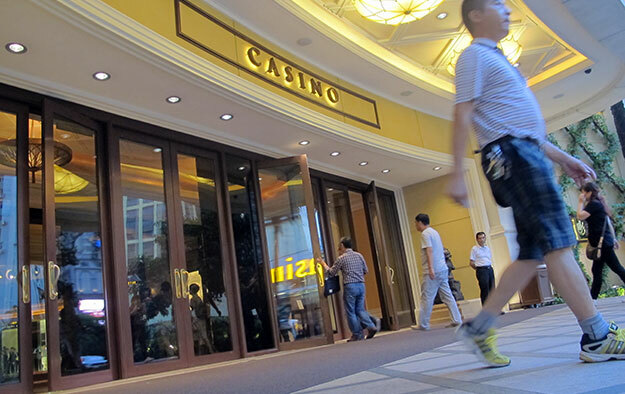 The brokerage forecasts that the combined earnings before interest, tax, depreciation and amortisation of the operators of Macau casinos will turn out to have been 1 percent lower in the first quarter than a year earlier.